Welcome to this issue #183 of the AbiWord Weekly News. More history and revisions! More table of contents! 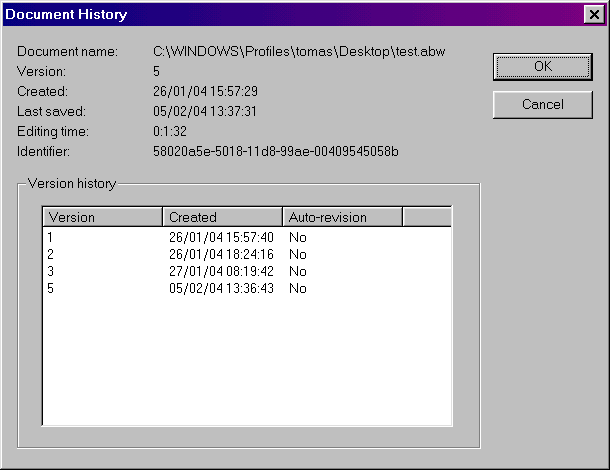 History and Revisions gets even more screenshots, BeOS lives again! commit: Fix unix build. HIG DocComparison dialog for UNIX. commit: GLade file for the Unix History Dialog. Why is abiword-dev plagued by viruses? → Once every quarter, a major Microsoft worm results in our beloved users...SPAMMING THE F* OUT OF THE LIST BECAUSE THEY HAVE YET TO CONSIDER SOME ALTERNATIVE TO OUTLOOK, OR CONTINUE TO FORGET TO UPDATE THEIR PATCHES! As a result procmail scripts try to compensate, but anyone who sent anything to the list receives lots of this virally-induced spam. We love you, our blessed users, but you've got to stop screwing us. § Especially the Nederlandse! This is not just a poke at Marc, a lot of the reminant MyDooms were .nl addresses. In fact, they surpassed aol domain addresses of generic garbage by 4:1. I'm being honest! § Fast Forward two months and its dead again, but don't give up hope! → Michael Rosenbruch would like his company to use AbiWord, but it must first be capable of opening a particular MSDocument. Unlike other requests, his comes with the notion of doing the work himself. commit: TOC's have numbers, more TOC bug fixes. → Martin speedily develops more Table of Contents glory. Who isn't excited about this feature!? § I intend to use it quite soonish, come to think about it. → Another reminder that bugs should be filed with bugzilla, and that guessing in the pull down menus is okay. 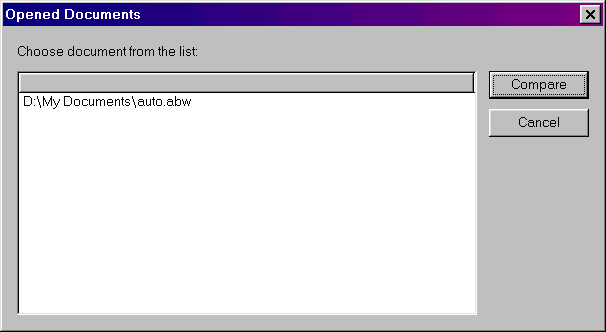 Will there be a mailable interface to work with AbiWord's Bugzilla? They said, “No,” then, but with some mail implementation, who can say what is yet to come? → For more adjustable printing commands, Dom recommends that Linux users try an GNOME-enabled build. In this way, Gnome Print can handle additional complexities in printing. § Carlos is geeky; I like that. → Amharic users interested in making Linux (and therefore, AbiWord) to work with the language should first visit this unicode tip, and generally work their way around this google search. Thanks to Peter Jacobi for the links. § Or...maybe AbiWord has issues, but where are the filed bugs? 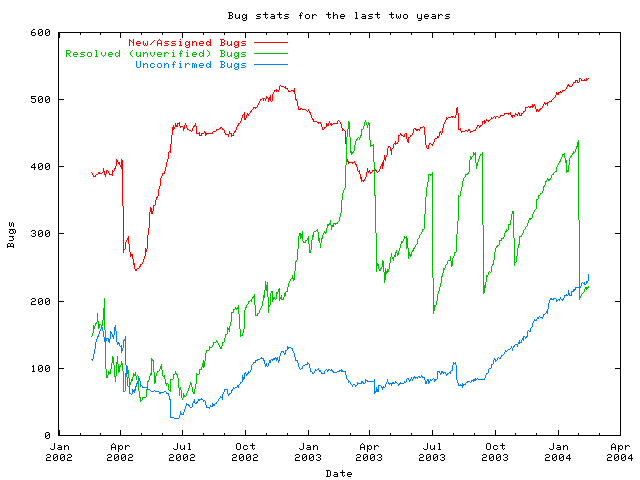 § If you knew how to use bugzilla, you could vote for it right now! → If you're on a non-XFree86 unix platform, you will find XFT and other libraries and related applications at http://freedesktop.org/~xlibs/release. Thank you, Sam Halliday, for sharing your realisation with the list. § I love it when users help users, even when they're just helping themselves. Martin Sevior 29 Martin works on bringing the two hottest features to unix-land! Tomas Frydrych 21 History and Revision work progresses at a wonderful pace. Francis J. Franklin 15 More fixes for plugins. Dom Lachowicz 6 Two bugs, one Dom, behold the Wrath! Marc Maurer 3 BeOS work from Danial and a spec file fix from his nederself. Nadav Rotem 1 The English dictionary of OTS gets a quick fixing up. Will be scripted in by the second week of February, barring currently unknown events. There was a “tune up” made to the English dictionary. That's something; right? Nothing since the 2.0 release. There will be a release a month...otherwise...nothin'. Dave is planning on switching the conglomerate site over to Apache Forrest, which does much of the same work as the makefiles that Dave created some ages ago, plusse some additional advantages but only after overcoming the creation requirements. For the thread, go here; For the test sote. go here. Also this week, users who suddenly noticed numerous useless menu options are not hallucinating after taking that dare to drink the bong water. Many of these were created early on, but commented out since they were not used yet. It was the opening of the Edit→Find functionality that unintentionally unleashed the rest of the options to the unsuspecting public. But, on the subject of additional functions, Sean Wheller proposed built-in versioning. Consideration is still in progress. Of those not spamming the list with MyDoom, Michael Rosenbruch seems most promising in the intent to assist both his company and us. Kudos to Michael and his good intentions for everyone.